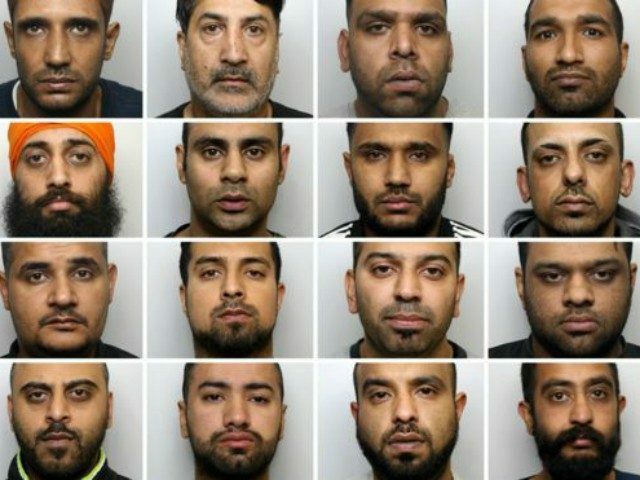 Conservative Party councillors in Kirklees have accused their Labour colleagues of attempting to “dilute” the terms of an inquiry into the Huddersfield grooming gang after 20 mostly Pakistani-Muslim men were jailed for the historic abuse of 15 vulnerable girls. Tory councillors called for an independent inquiry following the grooming gang scandal at Huddersfield Town Hall Wednesday night over concerns that the chairman of the proposed review, Dr Mark Peel of the Leeds Children’s Safeguarding Partnership, was “too close” to affiliated organisations that may be under scrutiny and “cannot be regarded as impartial,” reports ExaminerLive. “It is time Kirklees Council and West Yorkshire Police recognised their responsibility to the victims and the parents, and backed a comprehensive judge-led public inquiry into what went wrong,” Councillor Nigel Patrick said. However, a Labour amendment to the motion removed reference to Kirklees council and the left-wing dominated council voted to call on the Home Secretary for an inquiry “to examine the role of public bodies and statutory agencies charged with protecting children and apprehending and convicting criminals” nationally, instead. Conservative councillor Bill Armer called the amendment and vote “disgraceful,” adding that “It dilutes the attention on this council, on the police and on other partner agencies in this borough. “Let’s not dilute things and look at the whole of England and Wales. Let’s look at Kirklees,” he added. Tory concerns into potential failures by council and police are not unfounded in the national context of grooming gangs, after the Jay Report, ordered following the revelations of widespread abuse of white girls by Pakistani Muslims in Rotherham, found “blatant” failures by South Yorkshire Police and the Labour-run local council which ignored girls’ abuse because of political correctness. Tory councillor Mr Hall said that he would be writing to Home Secretary Sajid Javid to express his disagreement with the direction his council has taken. “I don’t regret it at all,” he told Sky News Thursday.